Chag Urim Sameach! Or Happy Hanukkah! Today begins the 8 day Festival of Lights, celebrating the rededication of the Jewish temple in Jerusalem in the 2nd Century BCE. 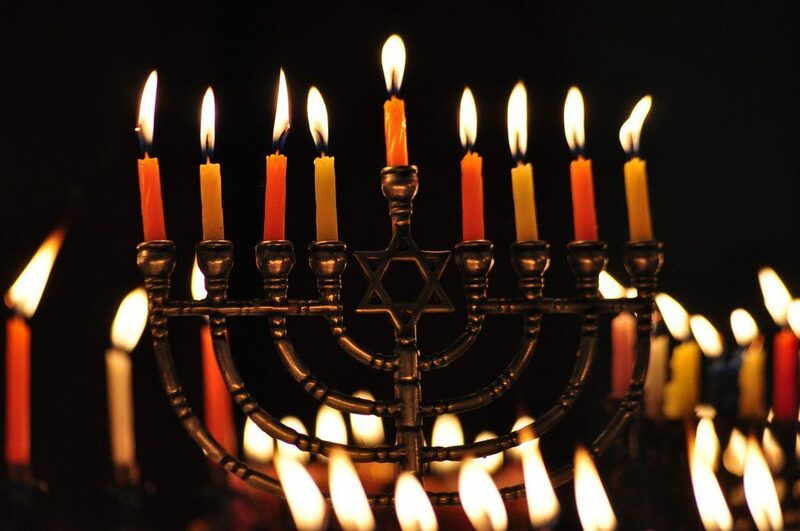 It’s often celebrated by lighting a candle a day for eight days, in remembrance of the oil in the temple that was not enough for one night, but lasted for eight. I’m not Jewish. I won’t pretend to be. However, the Jewish religion, holidays, and customs are beautiful and something for us all to respect. At this time of year when our focus is on giving and joy, let’s remember that those intangible gifts are meant for us all. It’s a great time of year to celebrate what it is that you believe, and make room for other people’s celebrations. Celebrate. Light the candles. Light other people’s candles. Surprised by God is on my Christmas list. May the next 8 nights be a time of love, hope, compassion, and connection for us all.